Questions From Time Magazine: A woman that’s a child expert talks about divorce – what does this have to do with dating? More than you might think. Life After Divorce: A man writes in who thought he had “game” before he met Doc – and writes in how THE SYSTEM has changed his life – before THE SYSTEM he was shy and now he has no problem asking for the number now! When You Get The # & It’s Probably No Good: If she says “I’m not ready for a relationship” before giving their number you shouldn’t count on your chances there. Questions From The Plane! : He calls in from a plane ready to take off! He’s doing things that bother his girl like committing small traffic infractions – the thing seems minor but whenever you attack her comfort level then you hurt your chances. Always Tighten Up Your Game: You cannot forget things like your phone, wallet, etc – because women watch everything – you don’t want to give them pause on dates – you’re putting on a show and anytime you are not organized in her eyes she loses interest. 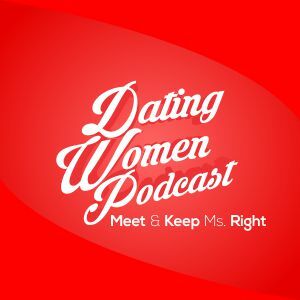 Look for the 5/27/15 show at http://www.docloveclub.com when you join – you get that hour-long show and over 150 hours of audio plus over 100 dating articles when you join! We give you more audio and articles every single week! Doc, that guy had a symptom of some sort of bigger problem. I am wondering if he suffers from social anxiety or anxiety that was formed on some kind of projection. When you have anxiety, it is easy to be up in your head a lot, meaning you are not focused in the moment. I know he said when he is comfortable with a woman that he still makes these mistakes, but what that would tell me is that the anxiety does not necessarily come from that individual woman, but the anxiety could have been developed over time from previous experiences with other women, and the result of that has his mind always thinking that something will go wrong which makes him always repeat those blunders. The psychology behind that is when you think something will go wrong, then you set yourself up for those things to go wrong. If you are a person believing that things will go right, but have the ability of accepting and moving on from things that go wrong, then your anxiety goes away, and you are more focused on the moment which leads to better focus. Anxiety could be a big problem for this guy, because it seems that his focus could be projecting things before they even happen. He needs to be focus on her in the moment and his surroundings instead of focusing on negative things that could happen or thinking about past experiences in his subconscious. That is usually the explanation for symptoms of a repeated focusing problems like the one he has when driving with a woman in his car. The only other thing I could think of is the fear of success which connects to the anxiety theory that I had just explained. This guy could be use to getting rejected. The thought process would be, hey what if I had some success and then I was happy? And then what if I got use to it, and fell harder when rejected after being with a woman for a longer amount of time? That would hurt worse. I am not use to that, so I think I rather get rejected faster where it is less painful then having to fall harder later. So then, not in complete consciousness, he sets himself up for failure without realizing what he is doing. Your subconscious when connected to your ego can be dangerous in this case. I think this is a common theme for guys who have a focus problem around women. Their fear of rejection and the unknown is so powerful, it causes these problems. How do you fix this? Well you have to take baby steps for each stage when going out with a woman. Guys also need to take positives of the things they do while dating. Most of the time, they want to think about all of the mistakes they make. It is good to look at both so that you mindset would not be too negative or too ambitious (which sometimes leads to rationalizing). It is important to learn to stay grounded, and it is important to look at a relationship as a marathon and not a sprint. In my past, a lot of my relationships with women were very short lived, and of course, my mindset was the fear of falling harder if I had any success with a woman. Well I eventually picked up on that, and I knew that I would have to take the steps to grow a relationship knowing that it could not work out. So I basically told myself that I would accept rejection if that happened, and that I could learn from the experience. I always reminded myself that a year to two year relationship would be a success for me even if it did not work out, because I never had been in that territory. So I learned to be brave to accept rejection no matter what stage I was at with a woman (basically learn to handle heartbreak). If I had made it a year, or if I had made it two years, I would take the positives from that, because honestly, if you do not have that mindset, then you will never get past the first few stages of going from casual dates to having a year in with a woman. Once you learn how to handle rejection, than the anxiety does go away, and you gain that confidence that women desire. What your system taught me is not to sweat rejection, but to embrace it and learn from it. That is the key to having success with the next girl that crosses your path. Your system is a numbers game, you are going to have anxiety over rejection, that makes you human, but you have to not be scared of rejection every time you are with a women, or your time with a woman will be over before it got started, because your anxiety about rejection leads to focus problems and the habit of projecting problems before they exist. Projecting problems before they exist will usually promote behavior that make those problems come true, and then you tell yourself, see, that was going to happen, I told you so. That only happened because you set it up to happen. I think that the problem with this guy who keeps making those driving mistakes is a result of an anxiety and insecurity problem affecting his focus and judgement. That seems to be the problem plain and simple. When I read your system dictionary, and your articles, I realized that I am not alone by a long shot, and that rejection happens. You have to accept rejection, because you cannot win over all women, but you can change the chances with the one right girl. Your material is great about learning to read a woman, and if any guy absorbs your material the right way, then he will realize to stop looking to inwards, and to actually learn to look outwards at the bigger picture which is focus on the moment and her interest level, because the anxiety is coming from projection and the fear of the unknown, so stay in the moment so you won’t project and so that you can answer the unknown. Learn to embrace what could happen instead of fear it, that is the message I am preaching. When you turn the tables and tell yourself that if this girl does not want me, then I can always move on to a girl who does, because there are a lot of them out there, then you are establishing a good feeling, which is confidence. You learn to be a challenge naturally that way in my opinion. By the way, I am in a two year relationship for the first time, and I would of never gotten to this point if I did not open myself to that self awareness. I owe my insight a lot based on your material Doc, thank you. I appreciate your thoughtful comments and wish you well in your relationship. Thank you for taking the time to write.